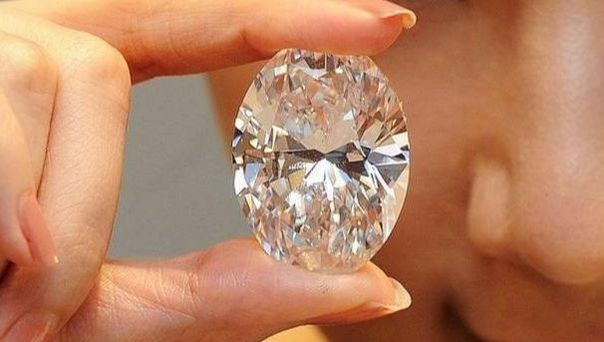 A 118-carat diamond from Africa, the world's largest white diamond, is being exhibited at Sotheby's auction house, Manhattan, New York. Precious oval shaped stone that was only two years ago mined and formed it is estimated worth between 28 million to 35 million US dollars or between Rp 325 billion to Rp 405 billion. "In terms of size, quality, and light, this diamond is the best we have ever sold," said Sotheby's Asia Vice Chairman Quek Chin Yeow. This diamond was discovered in 2011 as a 299 carat raw 299 carat in an African country whose name is Sotheby's. The auction house manager also said the owner of the diamond also requested anonymity. Record sale price of a white diamond is currently 26.7 million US dollars or about Rp 309 billion. The pear-shaped rock weighs more than 101 carats and is sold at Christie's auction house in Geneva, last spring. Three other white diamonds weighing over 100 carats had already been auctioned Sotheby's in 1990, 1993, and 1995.